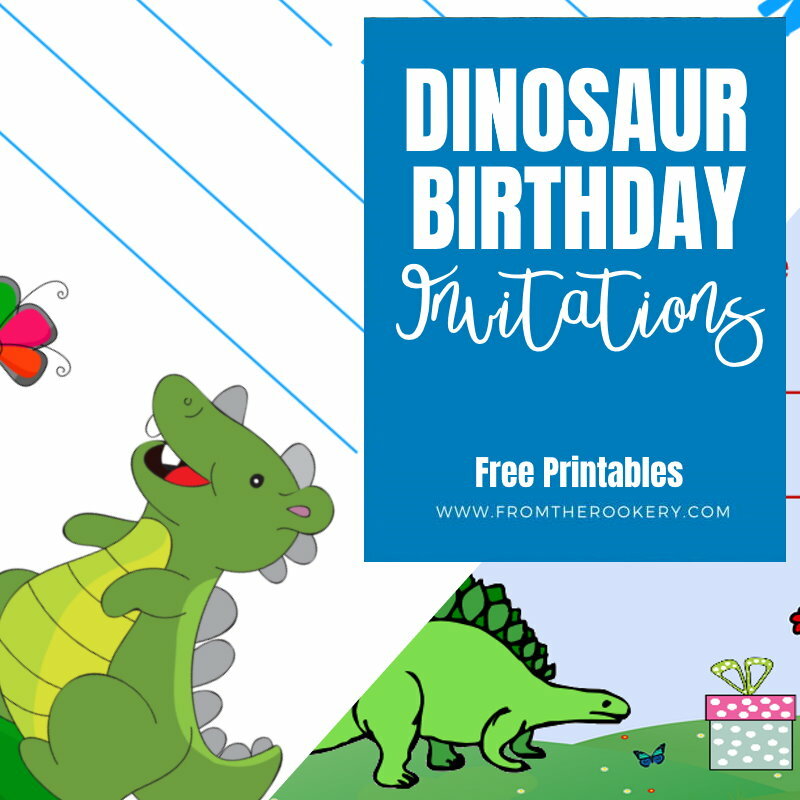 Dinosaur Birthday Invitations - two fantastic free printable party invites to appeal to dino lovers of all ages! Both boys and girls will love these two dinosaur designs. 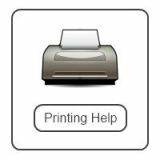 Both print two per page and simply need cutting apart after you have printed them. 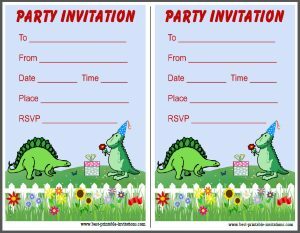 I hope you love these dinosaur party invitations as much as I do. 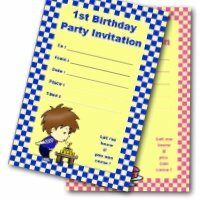 Kids love dinosaurs and the make a fantastic theme for a birthday party. 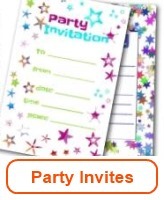 But what about the invitations? 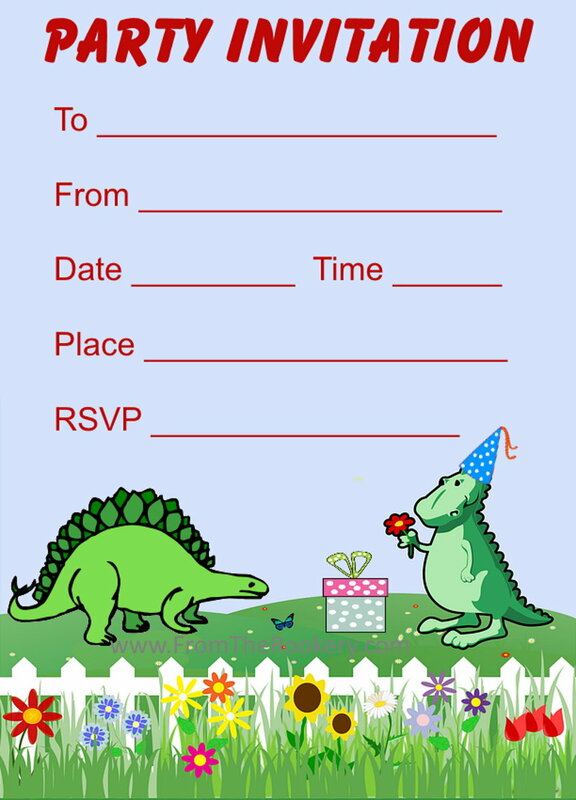 These dino themed invites are just what is needed. Free to print but great quality. Which is your favorite version? A fun dino design with pretty flowers. Very simple but effective. The plain white background is great for saving ink too. If it is for a girl, then add a little sparkle to the flowers using a glitter pen. 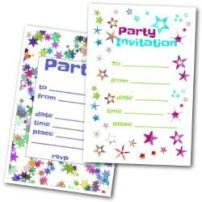 Or add a little bit of glitter and spangles to the envelope for a pretty touch. 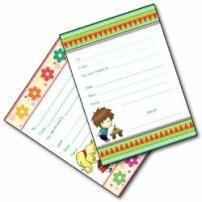 Why not have it printed and delivered. 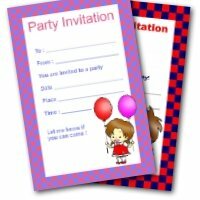 This high quality invitation is printed onto 5" x 7" card and delivered with an envelope. 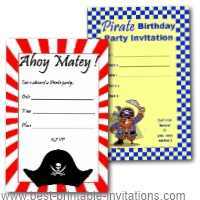 Order as many as you need - and personalize the text to suit your party details. A more colorful version of two dinosaurs getting ready for the party! On a blue background. Complete with party hats and presents! 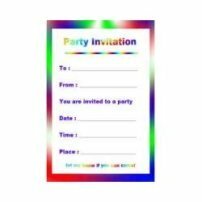 This one takes a lot more (blue) ink to print out yourself, so make sure you are stocked up if you are inviting a large number of children. 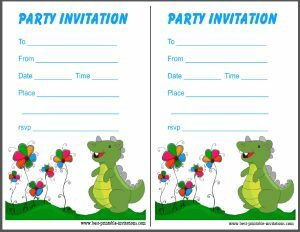 Both my children (a boy and a girl) went through a stage where the absolutely loved dinosaurs - and it made it an easy year for deciding the birthday party theme! 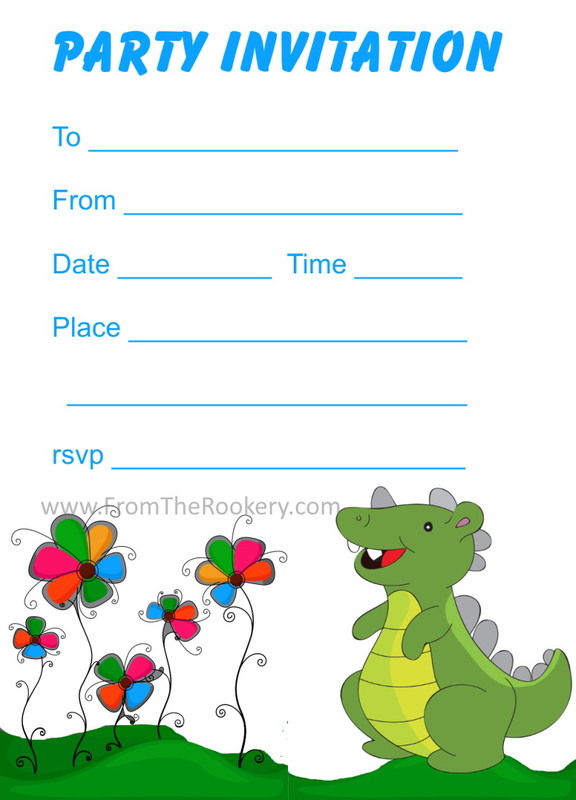 Follow Julie @ FromtheRookery.com's board Dinosaur Themed Party Ideas on Pinterest. By the way, if your kids love dinosaurs, then do check out our favorite kids dinosaur website. Full of facts and information - and very kid friendly! 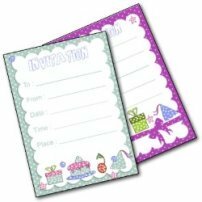 They have some free printable activities that would work great at your event too.